This is a Black 1965-67 Ford Mustang Pony center cap. This is an authentic Mustang hubcap design. 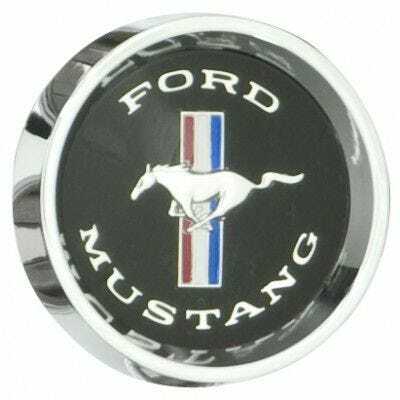 These Mustang Hubcaps feature the classic Mustang emblem and “Ford Mustang” script in the emblem. This black 1965-67 Ford Mustang center cap fits our Mustang Styled Steel wheel. Please check your actual wheels required cap fitment size.